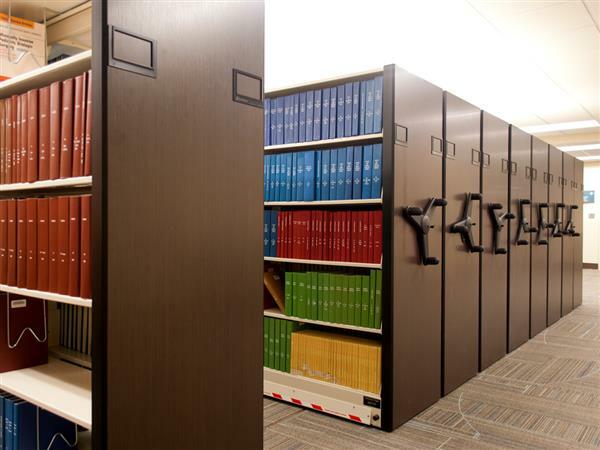 Mechanical Assist Mobile Shelving | Donnegan Systems Inc. 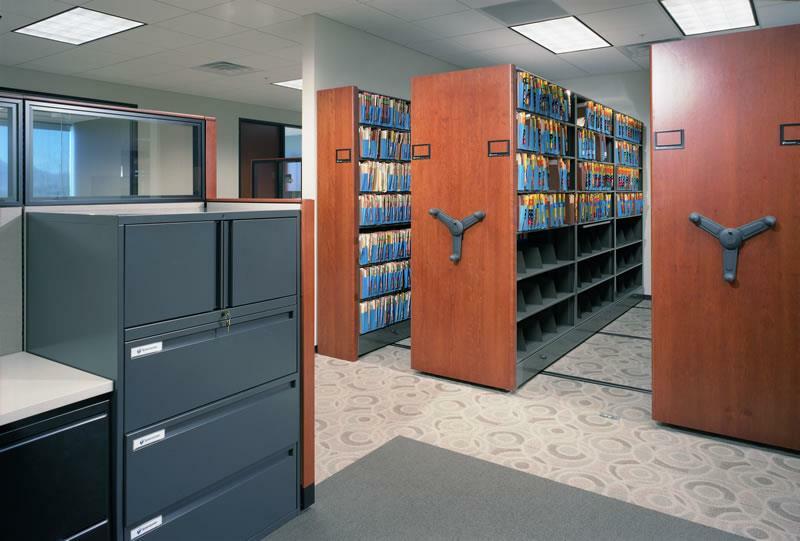 Mobile storage systems can drastically improve operations and help you save extra space. By creating a moveable aisle that can compact your storage space, mobile shelving allows for complete access to all of your goods and materials while creating extra space to do the things that have a direct impact on your business, regardless of your industry or market. Users open system aisles by rotating ergonomic drive handles. Basic safety systems are available. Ideal for medium-sized storage systems with higher activity levels, heavier load factors, greater carriage lengths and a larger number of system ranges. 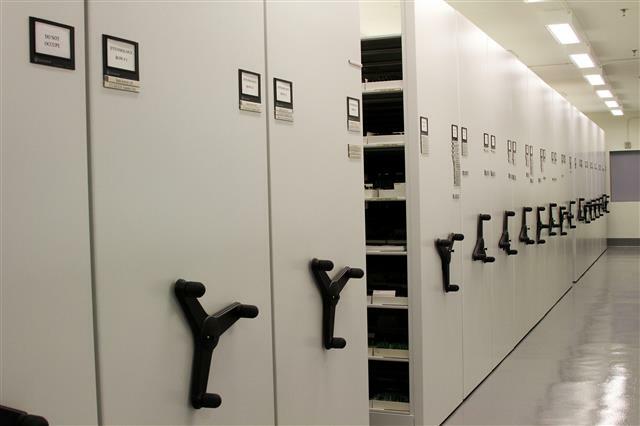 By mounting shelving units and storage cabinets on wheeled carriages that travel on rails, Spacesaver High Density Mobile Storage Systems eliminate the need for multiple fixed aisles, freeing floor space for other more productive uses. 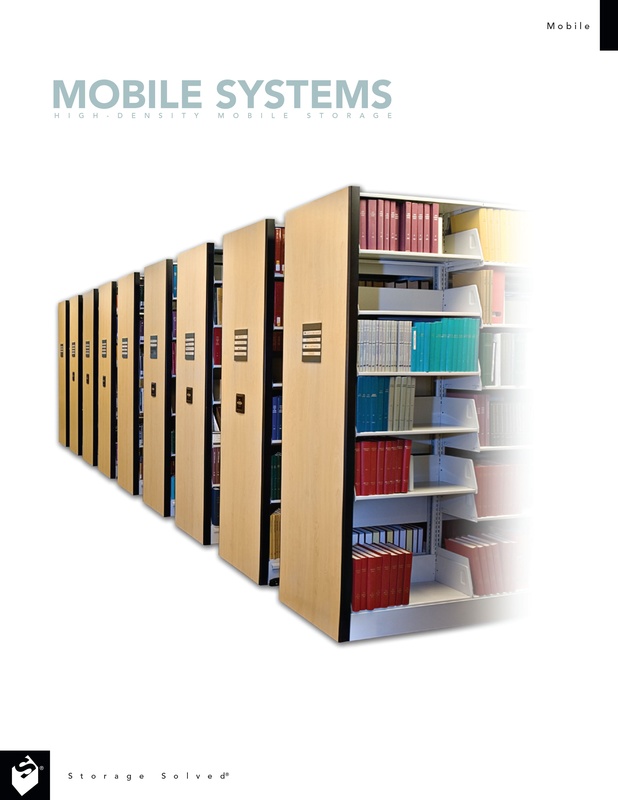 This Mobile Systems Brochure outlines details about our compact mobile shelving options and solutions.